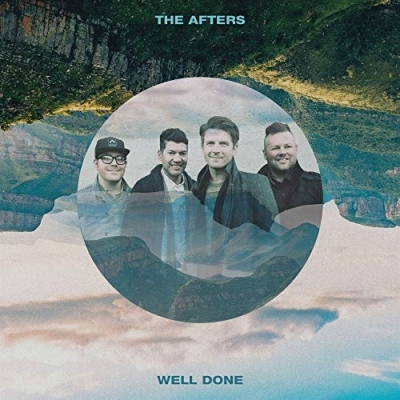 'Well Done', a song that points to the hope of Heaven and a life well lived, is the newest single from The Afters. The track will hit radio airwaves on Sept. 14, following The Afters’ upcoming performance at the notable Christian Music Broadcasters (CMB) Momentum Conference. It released to all digital outlets on Friday with features in key playlists, including Spotify’s New Music Friday and Top Christian, as well as Amazon Music’s Fresh Christian playlist. “Well Done” heralds a brand new collection of music expected to release in spring 2019. As The Afters’ prepare a new collection of music, the band is pausing to reflect on a memorable past with the Nov. 2 release of The Beginning and Everything After. The 12 track best of project celebrates the triumphs, including chart-topping albums and singles, TV placements and theme songs, an MTVU Award, GMA Dove Awards and other accolades. This new mix of hits and favorites allows the band’s compelling pop hooks and inspirational anthems to take on new life, alongside 2 brand new songs that point to a future of exciting new music to come. The new tracks include “Fear No More” and the single “Well Done."